Editor’s note: And so it begins. 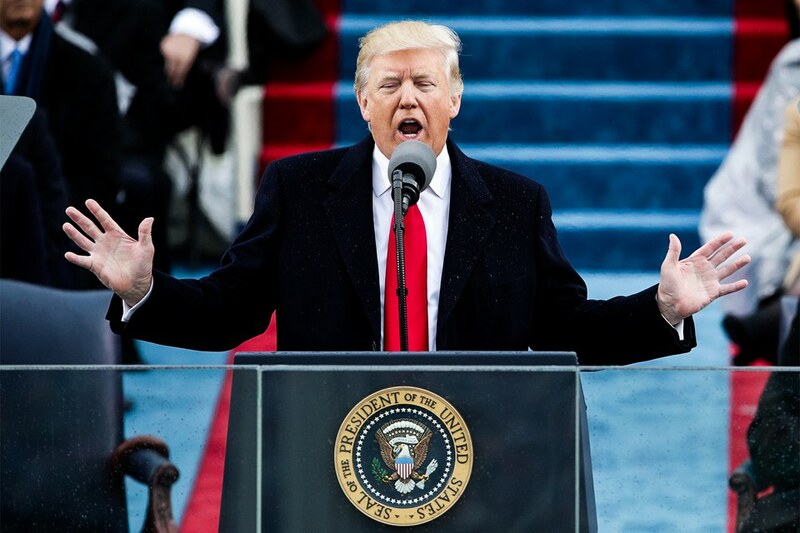 “Needless to say, Trump’s rage-filled, ‘America First’ battle cry was also filled with half-truths and misinformation, to say nothing of tired clichés. Here, we’ve chronicled the worst of Trump’s hyperbole and mistruths from an otherwise platitudinous campaign-style speech. “Fact-check: The U.S. crime rate is near a 20-year low, and while the use of some drugs is increasing, drug use among American teens dropped to an all-time low in 2016. “Fact-check: While Trump won the electoral college, Hillary Clinton won the popular vote by nearly 3 million votes. Photos from Trump’s inaugural speech seem to suggest that several hundred thousand fewer people turned up to watch his swearing-in. and then they gave him the nuclear codes. The difference between patriotism and authoritarianism can be seem clearly in that second statement….the difference between allegiance to the principles of the USA and our Constitution and the government of the USA. 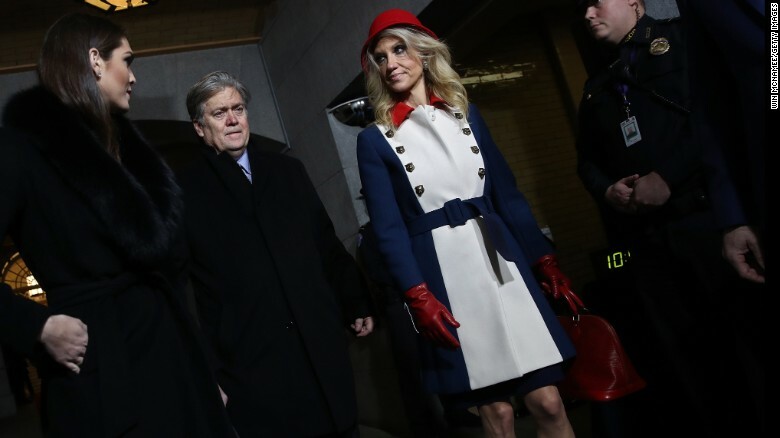 Kelly Ann Conway’s outfit is the ugliest thing I have ever seen. She looks like an Uncle Sam themed clown..Perfect for President Pumpkin Head. Joining the ranks of nice guys finish last -Soon after Donald Trump was sworn in as president, his administration undid one of Barack Obama’s last-minute economic-policy actions: a mortgage-fee cut under a government program that’s popular with first-time home buyers and low-income borrowers. The new administration on Friday said it’s canceling a reduction in the Federal Housing Administration’s annual fee for most borrowers. The cut would have reduced the annual premium for someone borrowing $200,000 by $500 in the first year. The FHA came under severe stress after the financial crisis. In 2013, it needed $1.7 billion from the U.S. Treasury, its first bailout in 79 years, due to a wave of defaults ( total amnesia about who caused that- just sayin-). To replenish the FHA’s coffers, the Obama administration several times increased the fees the agency charges. The law requires the FHA’s capital reserve ratio to stay above 2 percent, and the agency hit that level in 2015 for the first time since the bailout.